Dissolution is an utterly riveting portrayal of Tudor England. The year is 1537, and the country is divided between those faithful to the Catholic Church and those loyal to the king and the newly established Church of England. When a royal commissioner is brutally murdered in a monastery on the south coast of England, Thomas Cromwell, Henry VIII's feared vicar general, summons fellow reformer Matthew Shardlake to lead the inquiry. Shardlake and his young protégé uncover evidence of sexual misconduct, embezzlement, and treason, and when two other murders are revealed, they must move quickly to prevent the killer from striking again. 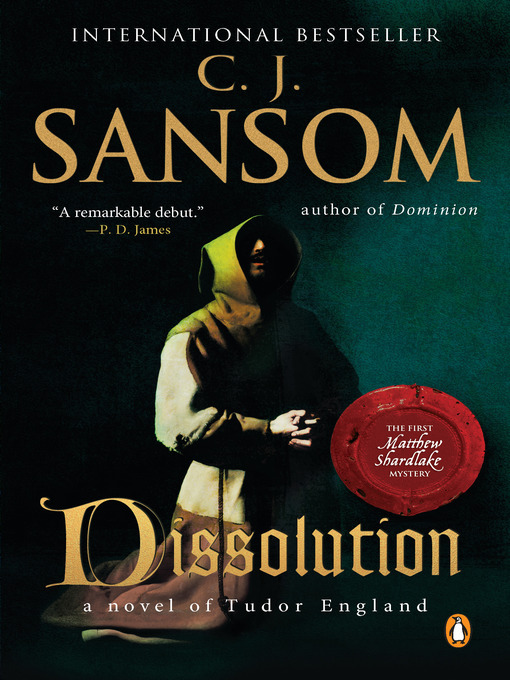 A "remarkable debut" (P. D. James), Dissolution introduces a thrilling historical series that is not to be missed by fans of Wolf Hall and Bring Up the Bodies.